June 4, 2018. Here’s an unusual pairing: Piano works by Philip Glass and J.S. 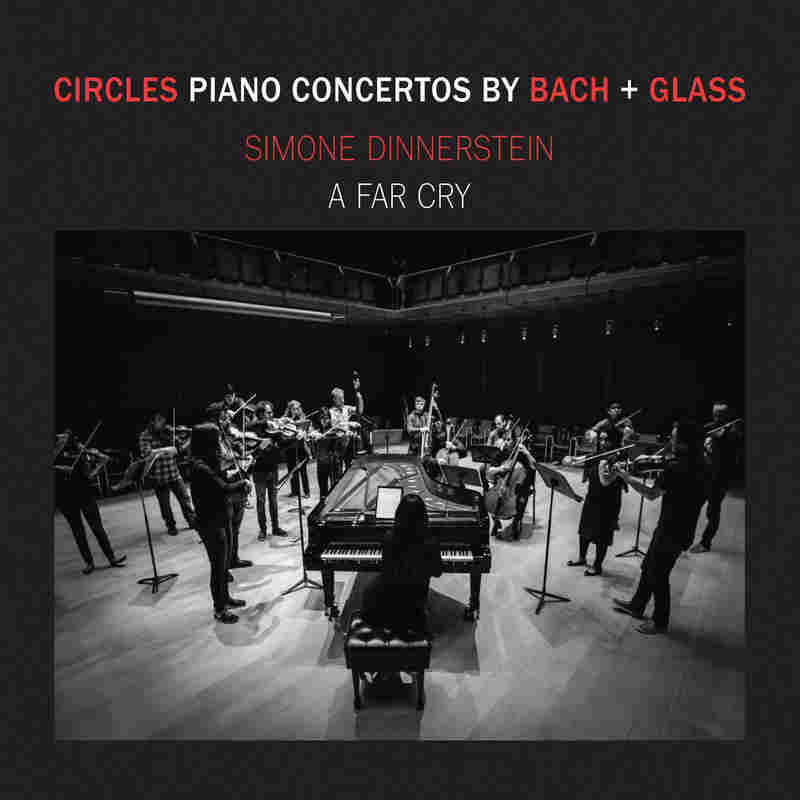 Bach, played by pianist Simone Dinnerstein, with performances by the Boston-based string orchestra, A Far Cry. Dinnerstein’s new release Circles is a circuit of virtuosity. Bach’s concerto may sound more familiar to you as a violin composition, but as the Keyboard Concerto in G minor, BWV 1058, it was probably Bach’s first attempt at writing a full concerto for keyboard. He transposed it down one whole step to better fit the range of the harpsichord, but apparently was dissatisfied with the end result. Researchers surmise it was meant to be the first in a set of concertos for keyboard, but, beyond a fragment in BWV 1059, Bach didn’t write any more. Still, it’s an interesting composition, and, played here by Dinnerstein, makes for an enjoyable listen. The novel pairing on the disc introduces us to Philip Glass’ Piano Concerto No. 3, a contemporary work of equivalent force. Glass’ composition received its world premiere with Ms. Dinnerstein and A Far Cry in September 2017. It was co-commissioned by A Far Cry and several other orchestras and the string orchestra is currently on a US tour with the work. Glass was moved to write his piano concerto after hearing Ms. Dinnerstein in recital. He composed it as an homage to Bach, and a tribute to the pianist. Now, the album Circles combines the forces of inspiration, composer and performer. May 28, 2018. Discovering this album is really quite a treat. 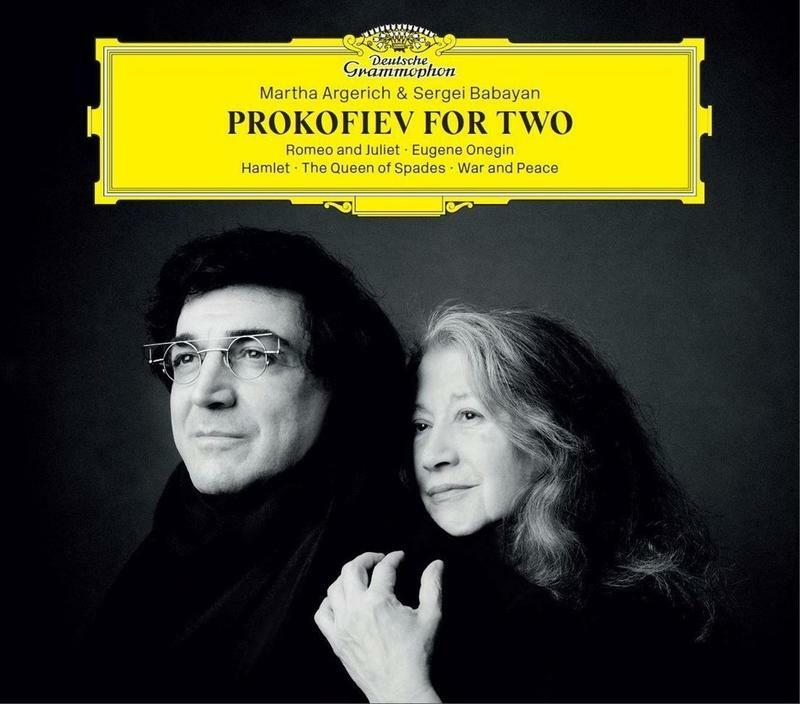 On Prokofiev for Two pianist Martha Argerich is joined by Armenian-born American pianist Sergei Babayan in his transcriptions for two pianos. Together, they play some of Prokofiev’s best-loved music. 5-21-18. 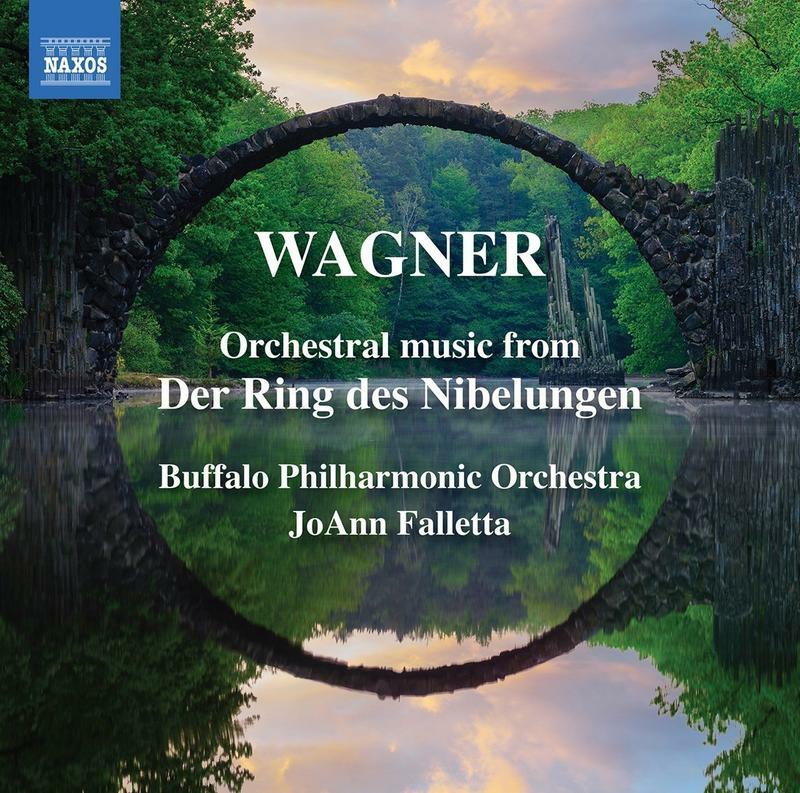 In Wagner: Orchestral Music from Der Ring des Nibelungen, JoAnn Falletta and the Buffalo Philharmonic perform highlights from Wagner’s monumental Ring cycle. Beginning with the first of four music dramas, Das Rheingold, and proceeding through Die Walküre, Siegfried, and Götterdämmerung, it’s a thrilling journey and a chance to be swept up in the magic of Wagner’s orchestral color.